AS World Press Freedom Day is observed today, many Pakistani media persons and public-spirited citizens feel they have little to celebrate. Addressing this year’s theme, ‘Keeping Power in Check: Media, Justice and the Rule of Law’ appears to them an almost impossible task. The leash by which the Pakistan media is held has been getting shorter and shorter over the past few years. What it has gone through since May 1, 2017, can be gauged from the report by Freedom Network Pakistan. At least 157 cases of attacks on the media were documented — one attack every second day. These incidents included the killing of five journalists, abductions, physical attacks, arrests and various forms of harassment. As 35 per cent of all attacks were reported from Islamabad, that city emerged as the most dangerous place in the country for journalists. TV was the most frequently targeted medium in the country, as 85 of the 137 journalists attacked were working for television. Twenty instances of attacks on media houses were recorded. In 39pc of all the attacks, the victims or their families suspected the state functionaries were somehow responsible. The other suspects were political parties, religious actors, criminal elements and unidentified sources of threats. 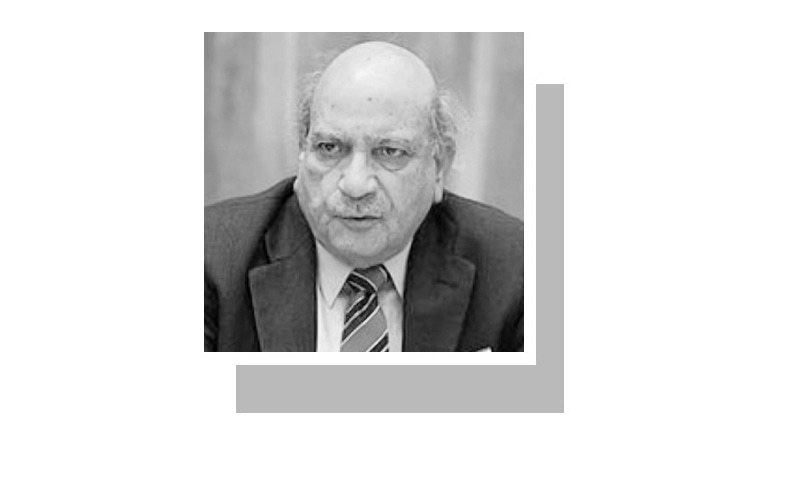 It is no exaggeration that Pakistan’s media is being micromanaged in an unprecedented manner. It will not be an exaggeration to say that the Pakistan media finds itself micromanaged in an unprecedented manner and prevented by fear from carrying out its primary function of informing the people, especially in view of political parties’ indifference to the media’s plight. The people are thus being deprived of their right to know on the eve of a general election when they need greater freedom of opinion, expression and information and not less of it. This, because it has been universally recognised that “freedom of expression and freedom of information are vital to a democratic society and are essential for its progress and welfare and for the enjoyment of other human rights and fundamental freedoms”. 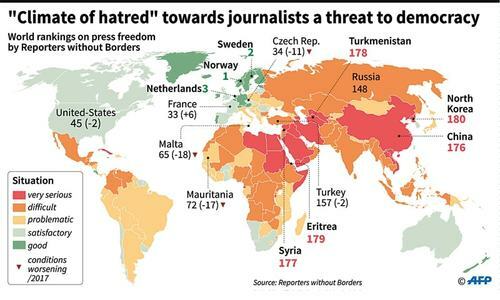 In many countries, restrictions on the media are justified as necessary in the interest of national security. Such actions are taken either by weak governments that wish to cover up their wrongdoings or authoritarian regimes that for obvious reasons repudiate their citizens’ basic rights and freedoms. Without going into a debate as to whether Pakistan falls into either of the two categories, efforts may be made to discover the possibilities of protecting national security without imposing undesirable curbs on the media’s and the citizens’ fundamental rights to freedom of opinion, expression and information. Pakistan’s media regulators and journalists both may seek guidance from the Johannesburg Principles on National Security, Freedom of Expression and Access to Information (UN Doc, E/CN.4/1996/39). The objective of these principles, adopted in 1995 by experts on international law, national security and human rights, is to “promote a clear recognition of the limited scope of restrictions on freedom of expression and freedom of information that may be imposed in the interest of national security, so as to discourage them from using the pretext of national security to place unjustified restrictions on the exercise of these freedoms”. While conceding that the exercise of the right to freedom of opinion, expression and information could be restricted on specific grounds, as established in international law, and for the protection of national security, the first principle says that no restriction on the ground of national security may be imposed “unless the government can demonstrate that the restriction is prescribed by law and is necessary in a democratic society to protect a legitimate national security interest. The burden of demonstrating the validity of the restriction rests with the government”. The principles define the concepts involved in the debate. All restrictions in the interest of national security should be prescribed by law which “must be accessible, unambiguous, drawn narrowly and with precision so as to enable individuals to foresee whether a particular action is unlawful”. The law must also provide for safeguards against the abuse and judicial scrutiny of any restriction. A restriction in legitimate national security interest must have a genuine purpose and demonstrable effect of protecting a “country’s existence or its territorial integrity ... against an external military threat or an internal threat such as incitement to violent overthrow of the government”. No such restriction can be justified if the purpose is to protect a government from embarrassment, or exposure of wrongdoing, or to conceal information about its public institutions, or to entrench a particular ideology, or to suppress industrial unrest. 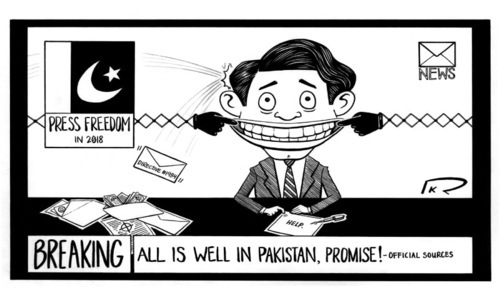 For countries like Pakistan, Principle 10 has special relevance as it obliges governments to prevent private groups or individuals from interfering unlawfully with the peaceful exercise of freedom of expression, and to punish such interference. Further, all remedies including habeas corpus must be available to persons charged with security-related crimes. They should be tried by genuinely independent judges. The principles explicitly bar a civilian’s trial by a military court or tribunal. These principles have acquired special importance in the post 9/11 world. They do not deny the government’s prerogative to restrict freedom of expression in order to protect national security, but they insist on a balance between the interest of the state and the rights of citizens to freedom of expression and information. Maintenance of such a balance is vitally necessary to enable Pakistan to complete its transition to a functional democracy. Honored to have as ethical and knowledgeable person as Mr Rehman among us. In all aspects true you are but this is also fact that certain media elements are also irresponsible and do not adhere to eithical as well national interests. I agree we must all respect opinions and views of journalists even though we might not agree with them . That is called democracy and rule of law.Things have improved compared to the days when we had to read foreign newspapers and watch BBC to find the truth back home. Those who harm journalists must be brought to justice. Well written article. Thank you I.A. Rehman. News Media is itself to blame, the power game that the journalists have started to defend corrupt by taking deals. And portraying positive notes for corrupt wealthy individuals. Media has never been so free in Pakistan as it is today.Just compare the situation with our neighbor ,I feel proud . Just who are these people who consider themselves holy and above the laws and who are to determine what is right for the people to know and what is harmful for their ears and eyes? Put them where they can't be contacted by any of their families in isolation and ask them how they feel after after a couple of years into the pulpits. Pakistan budget for defence expenditure is Rs. 1.3 tr (excluding pay and pension). How much more would you require for security of individual citizens. In 1971 COAS Gen Yahya Khan -' the security of East Pakistan lies in West'.